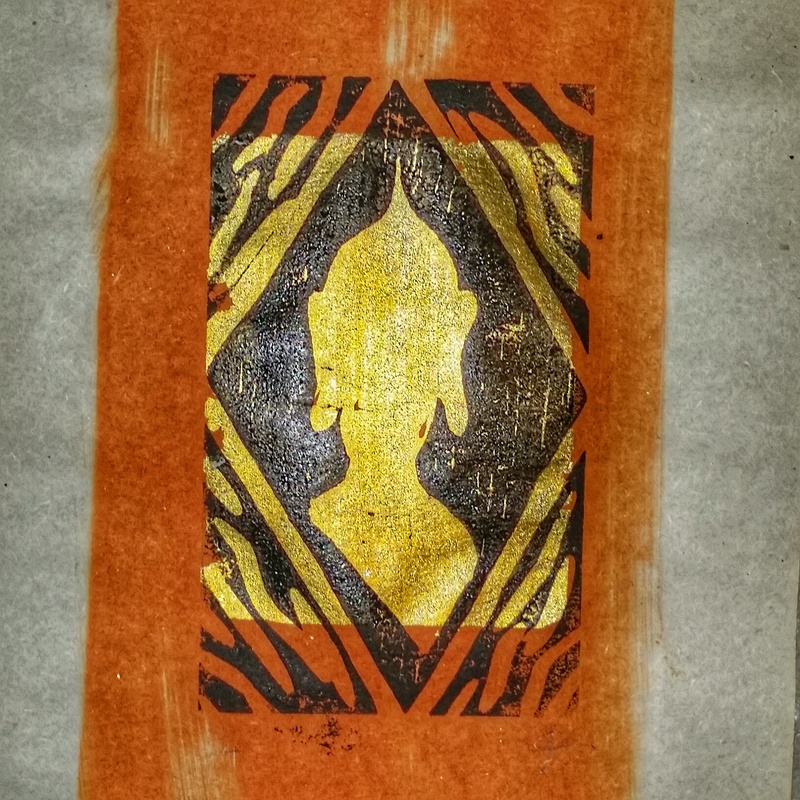 Earlier in the year a friend gave me some of this lovely paper with gold leaf to make a buddha. The linocut pulled the leaf right off using my usual, admittedly ham fisted, printing method. But printing in the traditional japanese method using heavier ink and the back of a wooden spoon did alright. These would frame at around 4×6″.